In this collection, we have picked up The Best Free WordPress Themes for Charity, NGOs, political and Nonprofit Organizations (501(c)(3)), Churches, donation & Environment Protection Agencies. When you are looking for a new Charity WordPress theme you want it to be simple and to be focused on content in order to help you to receive online donations. Don’t expect too many features from free WordPress themes, but you have to understand that it’s a good start for any Nonprofit organization with no budget or who can’t afford a Premium WordPress Theme or to build a custom website based on organization needs. 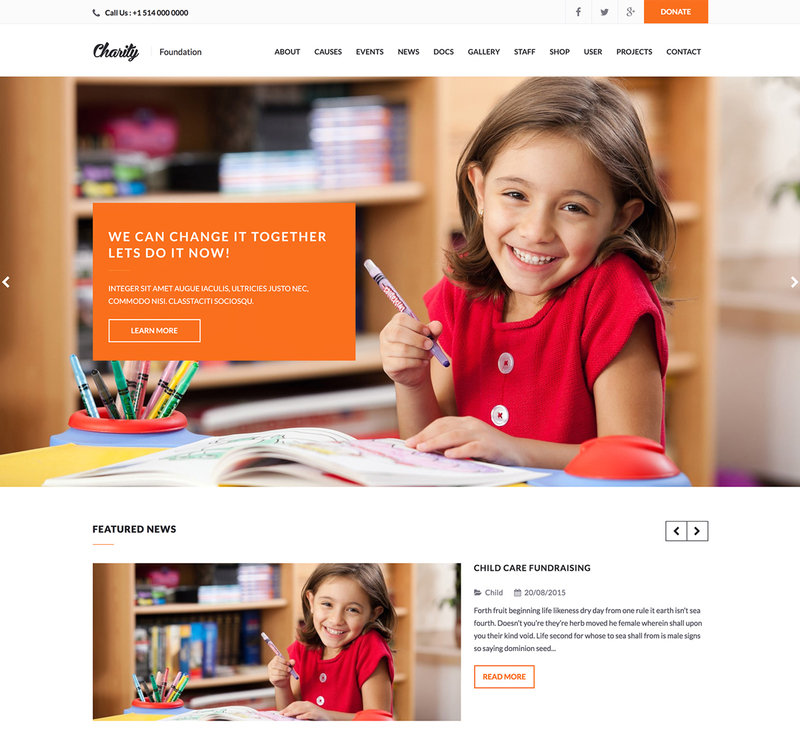 Charitas Lite is the best Free Charity WordPress Theme built for Charity Organizations, Non-Profit Associations, NGOs, Foundations, Political Organizations or Churches. It has a clean and minimalist design, which comes with a professional look. The theme is coming with a nice slider to showcase a different kind of content. The home page template is coming with 5 widgets area where you can select the size of every widget area. The theme is a perfect start for a new Nonprofit/Charity Organization. The toolbar is fully customizable, you can add a second menu or a language menu, the same you can add Social media links and a donation button. Charitas Lite theme is coming with a few custom widgets and four widgets area for the footer. The theme is optimized for speed with a Speed Grade: A91%. It is responsive and multilingual/translation ready! Full version is available here! Get any theme for FREE! Nothing beats the Charity WordPress theme when it comes to creating an amazing website for Nonprofit or Charity organizations. Besides helping you to raise funds for your projects, this outstanding WordPress theme also assists you to showcase all types of content and even to promote the events associated with your charitable organization. Additionally, the theme allows you to set up an online shop and even to monitor your donations using the advanced dashboard widget. 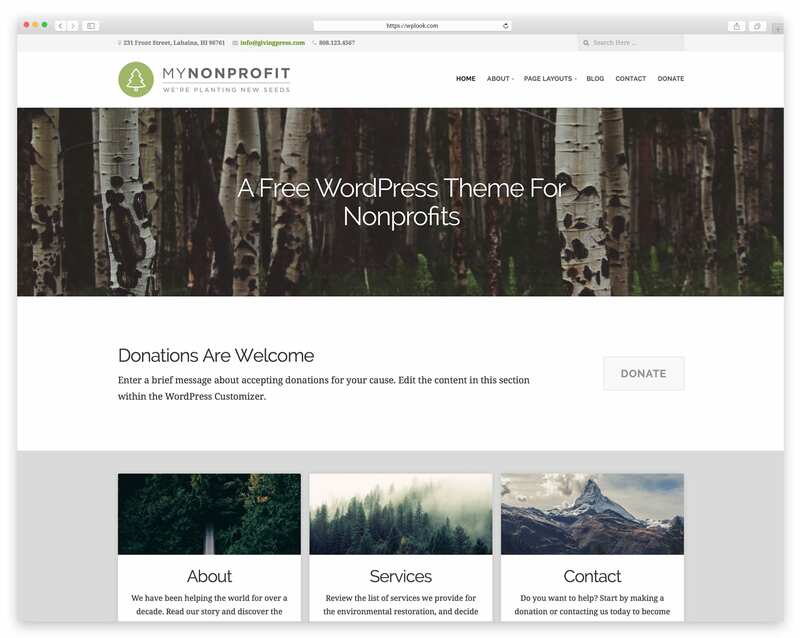 This complete beginner’s guide will disclose to you everything you need to know about the Charity WordPress theme for Non-profit Organizations. 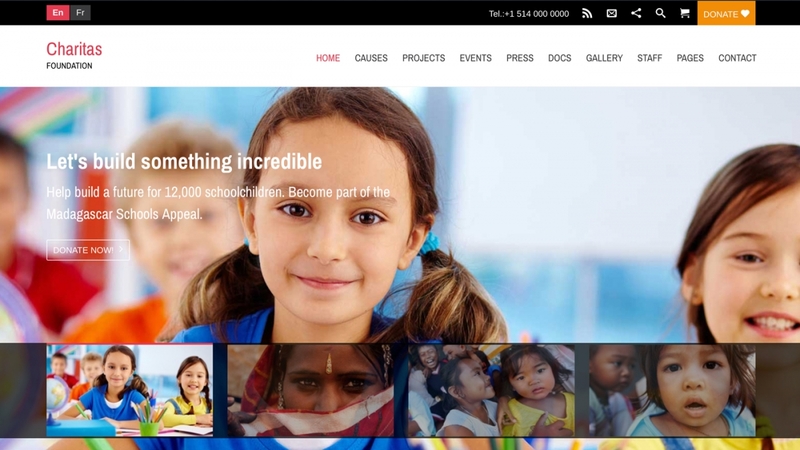 GivingPress is a Free WordPress Theme For Nonprofits. 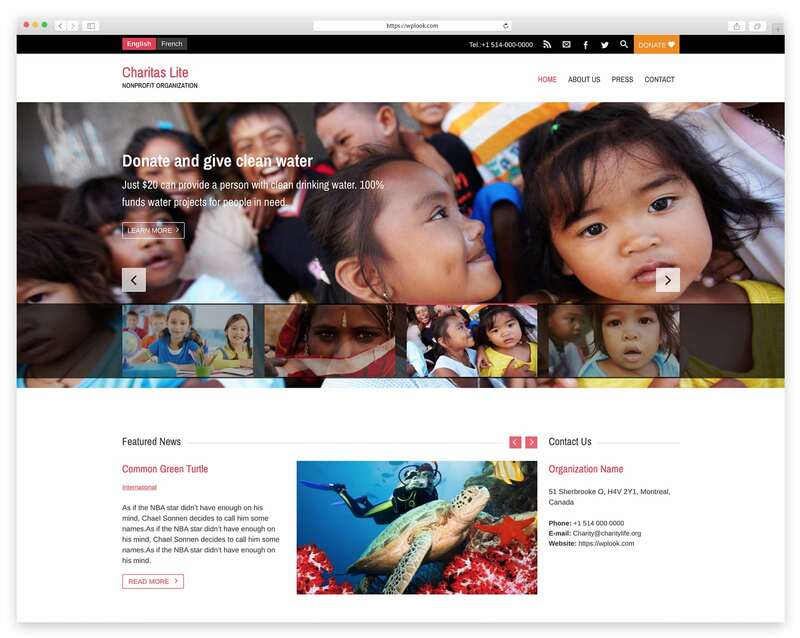 It’s an excellent starter theme for Nonprofit and conscious websites. It can be installed very easily with any self-hosted WordPress Installation. The theme is coming with great features like multiple page templates for displaying content in a variety of layouts. The theme is set via the customizer, where you can choose the homepage template, to add a logo or website description, favicon, custom menus, the contact information and more. You can link the donation button to an external service like PayPal. The theme is Completely Free and you can Download it by clicking the Download link. The theme is Completely Free and you can Download it by clicking the Download link. 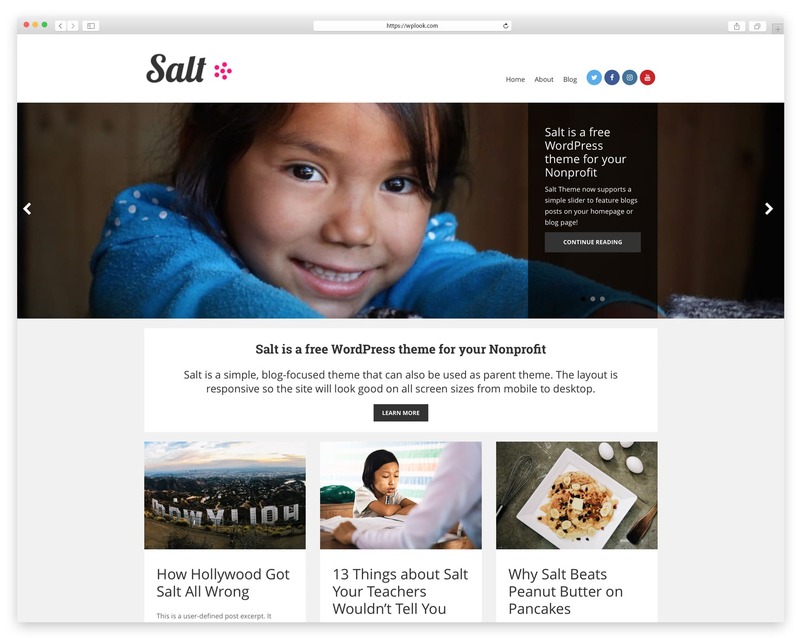 Salt is a free charity WordPress theme for Nonprofit Organisations, Charities, Foundations and NGO’s. A simple, blog-focused theme that can also be used as a parent theme. The layout is responsive to the site will look good on all screen sizes from mobile to desktop. The theme is Optimized for speed and with a nice slider. 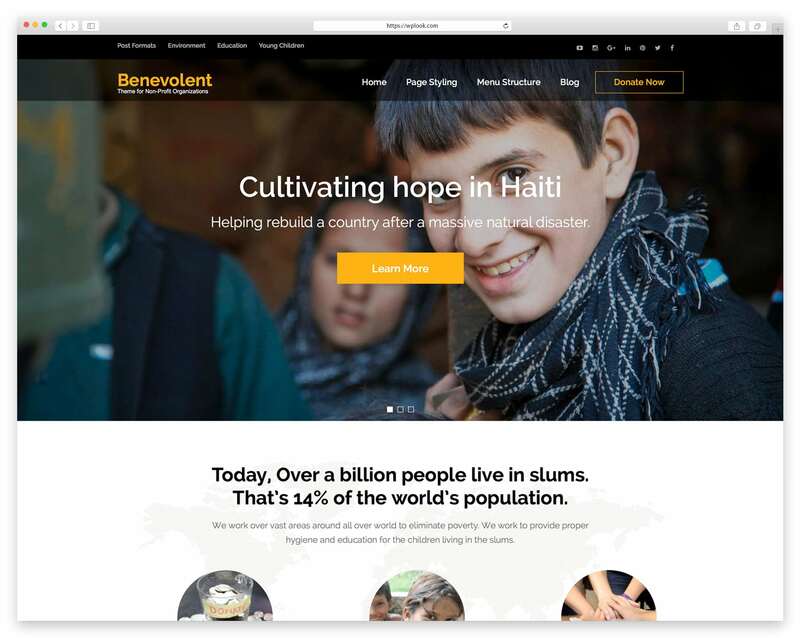 Benevolent is a clean, modern and highly customizable WordPress theme built specially for Nonprofit Organizations, NGO, etc. The responsive design of the theme is optimized for various screen sizes, including desktops, mobile devices, and tablets. The theme’s sophisticated design and features help to send a straightforward message to its audience and help to make your mission successful by encouraging the visitors to take action. The Benevolent is SEO and Speed Optimized, integrated with social media, it’s slider and widget ready and it has a variety of Posts Formats. 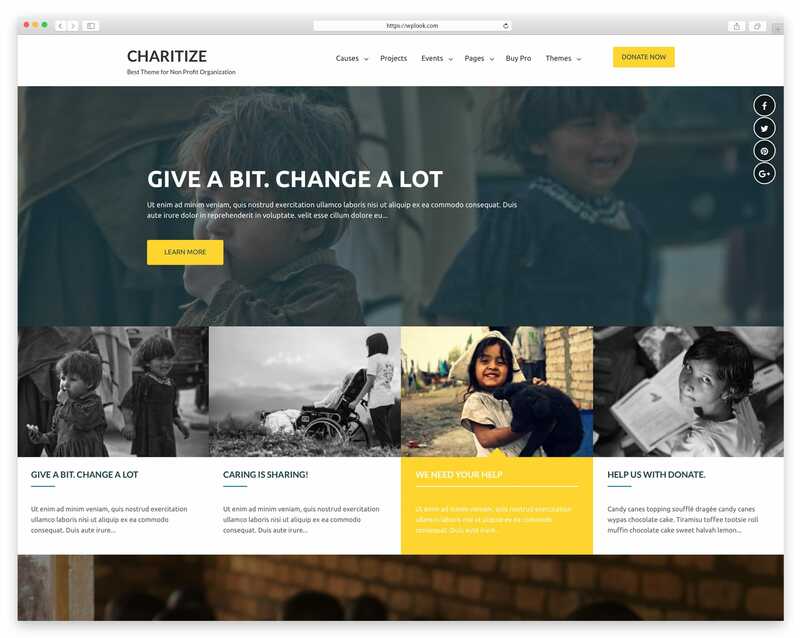 Charity Review theme is a clean, user-friendly free WordPress theme for Non-profit organizations like NGOs, INGOs. It can also be used by churches, business organizations, various agencies, corporate houses, digital agency, freelancers, and bloggers. 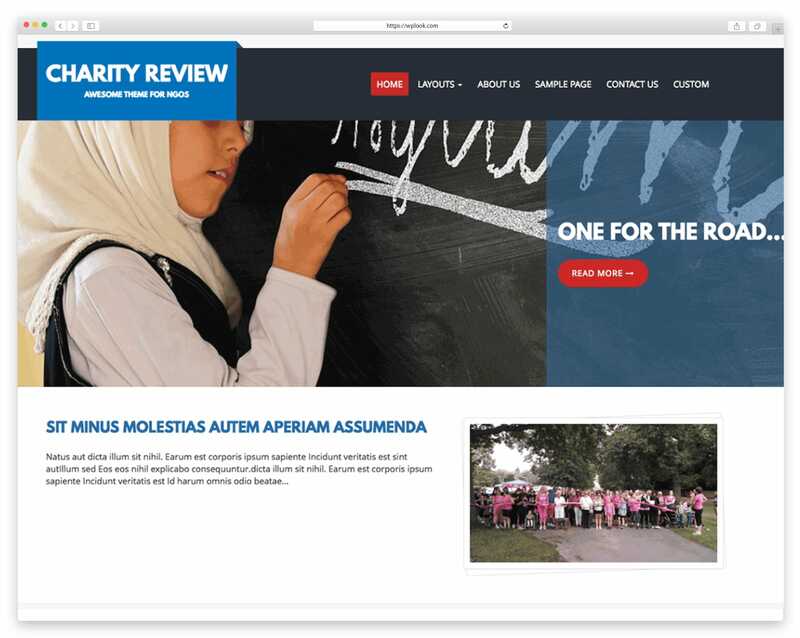 Charity Review comes with various interesting features to make a user-friendly, interactive and visually stunning website. The theme is coming with a Custom Menu, Social Media Options, customizable Call to Action Block(CTA), customizable Banner Slider, customizable Testimonial sections, Multiple sites and page layouts, Blog Layout, Logo color settings, footer settings, Custom CSS. It has 3 footer widgets, a default sidebar widget and tested rigorously. It is translation ready, highly optimized for better performance. I’m currently inclined towards the Help theme but apparently only the first two features are available in the demo. Do you think I could include other widgets for the last two desired features or could you probably suggest any other themes that possess all those features by default? Thanks again. 1. You can try a premium theme like Charitas, Charity or Benevolence because this is a premium feature or you can try a plugin, I am not sure you will be able to find a free one. 2. It’s a plugin territory. Use MailChimp and a free signup plugin. 3. I am not pretty sure about this question because it’s not specific to me, but you can post messages with any theme. 4. It’s a plugin territory.